The California Interscholastic Federation recently named Wilson Classical High School’s Maggi Twinem among 16 winners of the Model Coach Award. Now in its 15th year, the statewide award recognizes coaches who are positive role models in their schools and communities, and who pursue victory with honor. Twinem has coached girls swimming at Wilson for the past 15 years and has taught at the school for 21 years. The 16 winners were nominated through their local CIF Section office. A model coach demonstrates trustworthiness, respect, responsibility, fairness, caring and good citizenship. 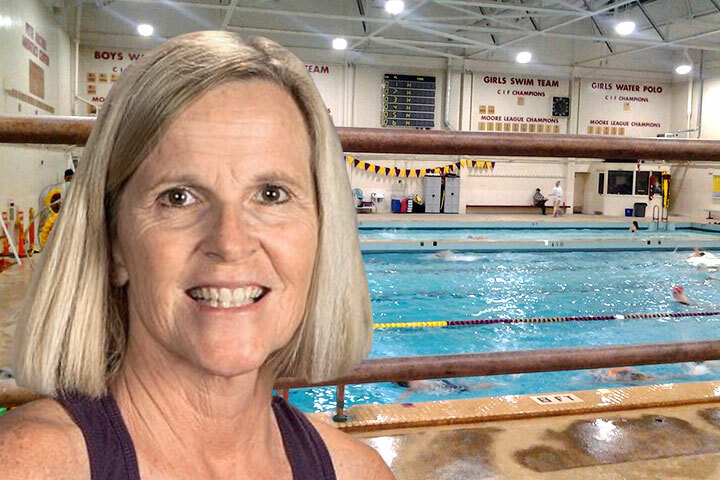 EXEMPLARY COACH – Swim coach Maggi Twinem earned a statewide honor from CIF for her dedication to nurturing scholar-athletes. She has taught at the school for 21 years.